The purpose of a contact form is to allow users to contact your business when they’re ready for more information and to help your business collect user contact information. Contact forms sound simple enough, but there are several practices that affect the success of your form. Here’s a look at 9 dos and don’ts of contact forms that can make or break your performance. Your form is the gatekeeper to valuable information for the user. Be explicit in stating your value proposition and let the user know exactly what they can expect when filling out your contact form. For example, if you’re offering a free ebook, provide a few bullet points on your webpage that state what the user can learn from reading your ebook. A long form can feel overwhelming to the user. The form should contain enough fields to gather contact information and identify the needs of the user. The ideal length of your contact form depends on a variety of things including how far along the user is in the sales cycle, the information your business needs to properly follow up with the user, and more. Contact forms aren’t for everyone. Some people don’t like filling out a form, and then waiting for a response from a company. Provide alternative contact methods such as a phone number or email, so that the user can move through the sales cycle at their desired pace. By default, most form builders have the button text set to “Submit”. The problem with “Submit” is that it doesn’t set any expectionations for the user. You should always customize the button text on your form to be actionable. Try using phrases like “Download Now” or “Let’s Get Started” to give your user an idea of what’s to come from submitting the form. If you want to know how your contact form is performing, you need to review your analytics. A low conversion rate or high bounce rate can tell you a lot about the users’ experience on your webpage. If your form isn’t performing as well as you would like, start by changing one element at a time and test the results. For example, reduce the number of fields on your form and measure the impact it has on your conversion rate. 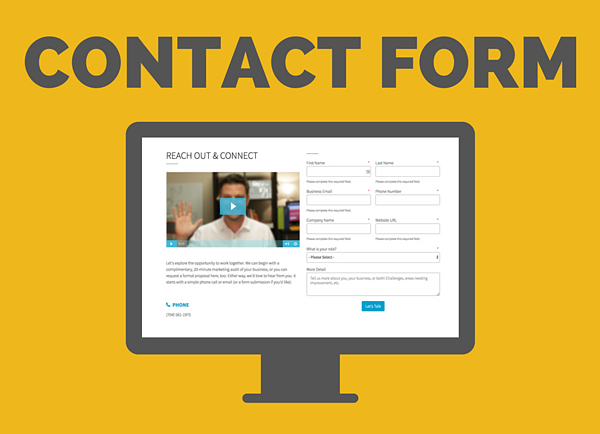 If you notice that your contact form isn’t performing as well as you’d like, try changing up the layout. Adding labels above each field and including the form on the right side of the webpage have been shown to have the best conversion results. Don’t be afraid to try something new with your layout, just make sure you’re paying attention to your analytics when making changes. Once a user submits your contact form, you have a golden opportunity to email them right away. Send an automated and personalized follow up email thanking them for filling out the form, and providing or asking them for more information. A follow up email can be a great way to continue engaging with the user while your business is still on their mind. Once the user submits your form, they should be instantly redirected to a thank you page. On the thank you page, you can include links to your social media accounts, an ebook or other offer, links to your most popular blog posts, and more. This page can encourage the user to stay on your site longer by consuming more of your content. 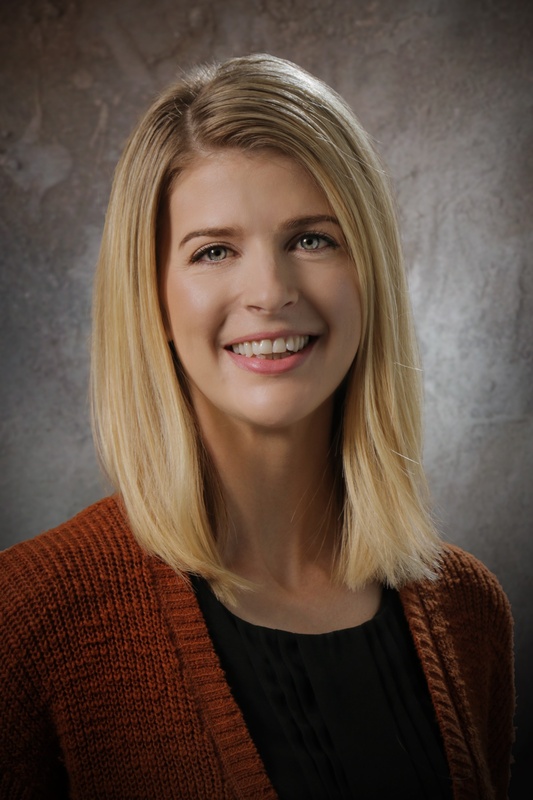 Jessica joined Laire Group as an Inbound Marketing Specialist. She has 8 years of marketing experience, with 5 years focusing on inbound marketing. Although her interest is in marketing, a passion for small business led her to a degree in Business with a focus in Entrepreneurship. Watching companies grow through effective marketing is her favorite part of the job.